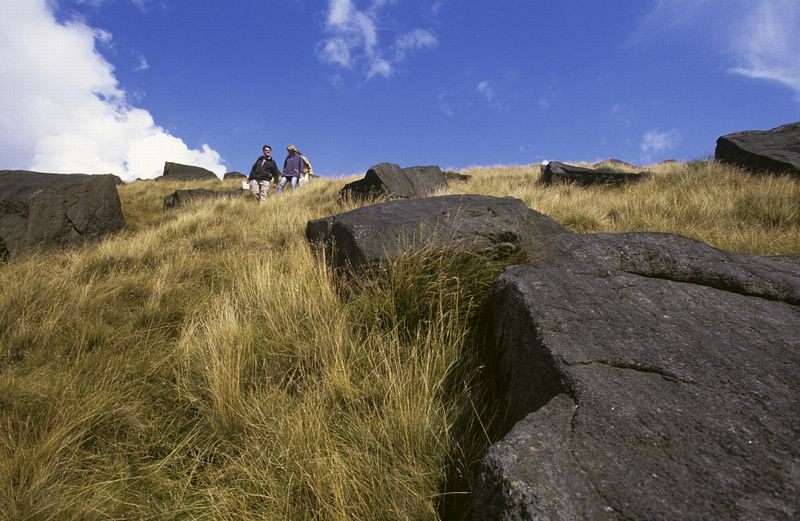 Straddling the well-known Pennine Way, Marsden Moor offers pre Roman archaeology, Industrial Revolution history, dramatic landscapes and great opportunities for wildlife-spotting on the windswept Yorkshire Moors. Marsden Moor covers a massive 6000 acres and is a Site of Special Scientific Interest and is being considered as a Special Area of Conservation. It is home to a large number of moorland birds and is an important habitat for a variety of wildlife. Council reacted strongly by erecting stone markers with "PH Road" on them which can still be seen today. Several members of the Radcliffe family were local Justices of the Peace and were famous for their sympathetic rulings at the Luddite Trials. Joseph Radcliffe was created a baronet in 1813 for his services as a local and county magistrate. 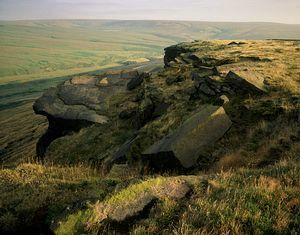 This unique landscape was made available to the public when Captain Sir Joseph Benedict Everard Henry Radcliffe transferred the Marsden Moor Estate to The National Trust in 1955. Hill-walkers and ramblers will enjoy the miles of unspoilt moorland, scenic wooded valleys, still reservoirs and rugged peaks and crags. Useful local information can be found at the Marsden Moor Visitor Centre which is next to the railway station in the village of Marsden. Self-guided walks and a heritage trail of the area are available to help visitors to plan their day. Some of the highlights of a visit to Marsden Moor include Pule Hill. From the top it offers spectacular 360 degree views over the isolated area at any time of year. Bridge was built in the 17th century as an old packhorse bridge. It would have been used by the hardy Galloway ponies which carried baskets of wool from Huddersfield to the woollen mills at Rochdale. Visitors who choose to park at Buckstones car park to start their walk will begin with breathtaking views across the Upper Colne Valley, out to Pule Hill and the rocky ridge at Millstone Edges. Look for the Holm Moss TV mast and Black Hill, two well-known local landmarks. Take a walk down Thieves Clough and you will be following in the footsteps of Roman soldiers who built the original road. It later became the routes for two turnpikes or toll roads which were built in 1759 and 1781. Along the way there are the remains of an old engine house and tunnel vents from the canal which ran through the hillside. The best spot for birdwatchers is Wessenden Valley which looks across the Blakely and Butterley reservoirs. Golden plover, grouse, curlew and twite can be heard and seen in this wild and remote area and fantastic sunsets can be enjoyed from the many scenic viewpoints. The Pennine Way takes you from the Peak District National Park up to the Scottish borders and runs north to south through the estate. Huddersfield Narrow Canal towpath passes through Marsden, offering lovely scenery along the way. It is a 3 mile walk from the town of Slaithwaite and 4 miles over the moor from the village of Diggle. 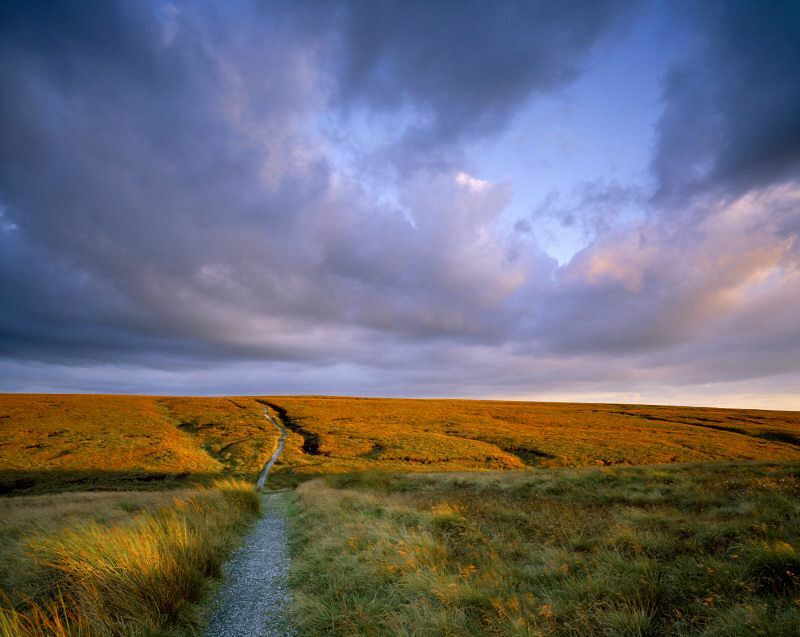 The Pennine Bridleway starts in Derbyshire and runs along the west side of Marsden Moor, through to the South Pennines. Regular buses to Marsden: take the 350, 352 or 365 from Huddersfield, or, the 184 from Oldham. Marsden is located in the centre of the village, adjacent to the National Trust estate office. The Huddersfield Narrow Canal travels for 20 miles from Huddersfield to Ashton under Lyne, passing through Marsden and under the Standedge Tunnel; the longest of its kind in the UK. The Standedge Tunnel is only open at certain times during the year. Anyone wanting to book passage should contact British Waterways on 0113 281 6860 or email them. For more information click here. The Marsden Moor estate covers the area around Marsden village, between the A640 and the A635. To access the north of Marsden Moor take the A640 Huddersfield-Rochdale road. For Marsden and the heart of the moor take the A62 Huddersfield-Oldham road. To access the south take the A635 Holmfirth-Manchester road. free parking, suitable for coaches.